false separation, and to the manner in which that apparent schism is and was repaired. through the transformation of your mind. 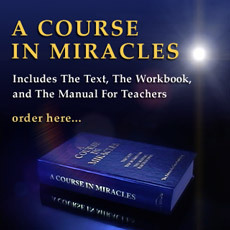 This is a course in miracles. It is a required course. Only the time you take it is voluntary. Free will does not mean that you can establish the curriculum. It means only that you can elect what you want to take at a given time.